The art of cultivating tobacco is a thread intricately woven into the fabric of Cuba. When Christopher Columbus arrived on the island he observed the Taíno native population rolling dried tobacco leaves in saltwater-dipped palm or plantain leaves. The use of tobacco spread rapidly among colonists and despite early criticism, the practice of smoking grabbed hold of Europe. Its popularity crossed all borders and socio-economic lines, creating a booming global industry. The first cigar factories were founded in Spain, the homeland of Cuba’s imperial rule, and by the 1700s the Spanish crown had established a tobacco monopoly. Initially, tobacco leaves from Cuba were shipped to factories across the Atlantic, until it was discovered that rolled cigars could better withstand the voyage, and the Cuban cigar factory was born! Marble-tiled rolling rooms humming with the buzz of slow, yet efficient labor haven’t changed much since their inception. After almost 500 years, Cuba maintains its position as world leader in quality cigars. Today, visitors can step into the past with a visit to the Romeo y Julieta, La Corona, or Partagás cigar factories. These three leaves, the Ligero, Seco, and Volado, come from different areas of the tobacco plant. Each type of leaf contributes a distinct flavor to the cigar, while altering the ratio of leaf composition alters the cigar’s flavor. Ligero leaves come from the top of the plant and are imbued with intense, bold flavor. Seco leaves are found at the center of the plant and grant cigars their mild tones. The Volado leaves at the bottom of the plant contribute nothing in terms of flavor or aroma, but are critical to obtain a slow, even burn. Each cigar’s flavor is unique to the soil from which its leaves are grown, and Cuba’s breathtaking miles of lush tobacco plantations are truly unmatched. Cigar lovers would be remiss to skip a visit to the heartland of this tradition. Lulled by the steady rock of a horseback climb, travelers reach the peak of a lush hill to look out over a vast expanse of sun-kissed tobacco fields glistening in the humid stillness. Approaching the nearest farm, they come upon a massive drying house, its walls and roof fashioned from thousands of dried palm fronds. 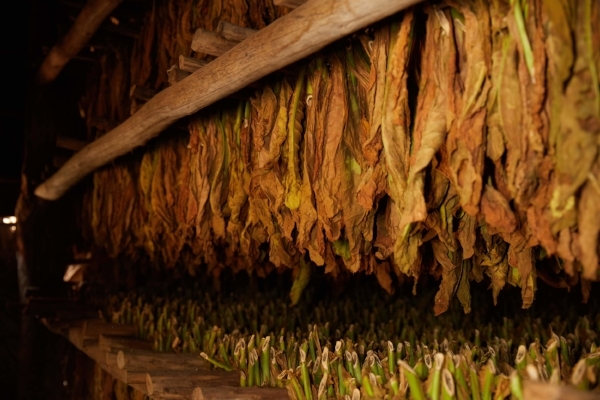 Wandering through the earth-toned tunnels created by rows and rows of drying leaves, visitors take in air thick with the intoxicating scent of drying tobacco. The otherworldly beauty and traditionalism of the process recall a bygone era. 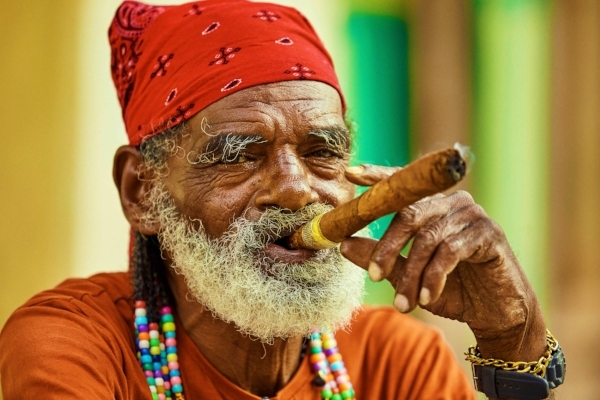 Generation after generation, Cuba has been passionately producing the best tobacco in the world. Currently 27 premium brands come from the island including Montecristo, Romeo y Julieta, and of course Cohiba, Castro’s personal favorite and signature cigar of the revolution. Today, U.S. visitors are allowed to return with a supply of the coveted Habanos (for personal use only).